Storm water runoff is a major cause of water pollution in cities. When rain falls on roofs, streets and parking lots, the water is not all absorbed into the ground. Instead, storm water drains through gutters, storm sewers and other collection systems, and is then released into nearby bodies of water. This water often contains pollutants like trash, bacteria, chemicals and heavy metals. The quantity of water and speed of flow can cause erosion and flooding, and damage habitat, property and infrastructure. You may worry about a damp basement, a busy sump pump, or muddy puddles in your yard after a heavy rainfall. If your like most people your wondering what a good fix would be. The answer is simple a Rain Garden! 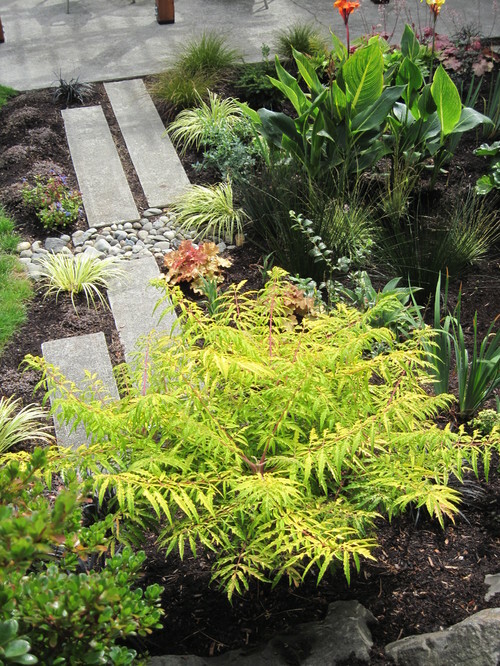 A rain garden is a garden of native shrubs, perennials, and flowers planted in a small depression, which is generally formed on a natural slope. It’s designed to hold and soak in rain water runoff that flows from roofs, drive ways and other areas. Rain gardens are effective in removing up to 90% of nutrients and chemicals and up to 80% of sediments from the rainwater runoff. Compared to a conventional lawn rain gardens allow for 30% more water to soak into the ground. When the rain garden collects water run off, it allows the water to be filtered by the vegetation and percolate into the soil recharging groundwater aquifers. 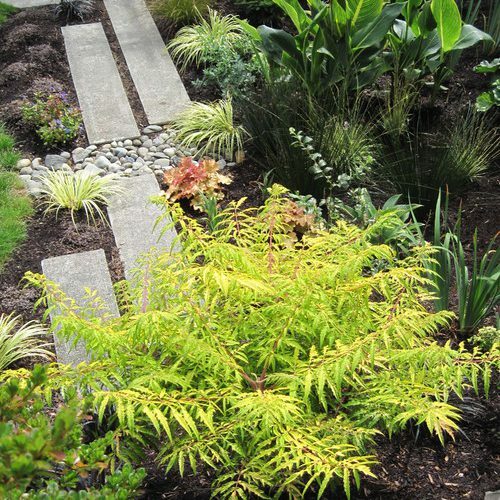 Rain gardens are different from traditional gardens, they are generally constructed on a downside slope to collect run off. Typically 6-12 inches of soil is removed and altered with tillage, compost, and sand to increase water infiltration. Infiltration may take up to 48 hours after a major rainfall. The type of alteration can depend on the current soil type so it’s always a good idea to obtain a soil test. Rain gardens incorporate native vegetation; therefore, no fertilizer is needed after the first year and maintenance is usually minimal.